Biotechnology, including prescription drugs, biologics, diagnostic equipment and medical devices, consume more than $400 Billion in health care spending in the United States each year. This massive segment of our health care economy drives scientists, entrepreneurs, and international investor conglomerates. All of these activities are highly regulated by the Food and Drug Administration, the Centers for Medicare and Medicaid Services, and by other agencies including the Federal Trade Commission and the Nuclear Regulatory Commission. 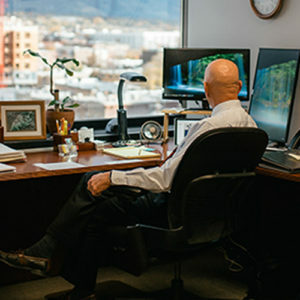 Stilling & Harrison attorneys have experience in FDA and FTC practices and procedures and the specific challenges of this unique regulatory structure, including pre-market approval and post-market surveillance; adulteration, misbranding and off-label uses; biologics and human tissue products; pharmaceutical and medical device compliance; clinical research compliance; and the ethical challenges of biotechnology. We consult with Institutional Review Boards, review protocols and consent documents, assist companies in obtaining NDA and 510k approvals. We can help clients with Medicare Coverage Analysis, review and negotiate Clinical Trials Agreements, and remain compliant with the Human Research Protection Program. Biotechnology is an exciting resource for better quality and efficiency in health care, with great promise for the future, and Stilling & Harrison attorneys enjoy facilitating these challenging ventures.